Today the air is cold again. (;o;) Everyone, please spend your day warm and watch your health! Yesterday, it was announced that I will appear in the musical “Koisuru ♡ Vampire”! 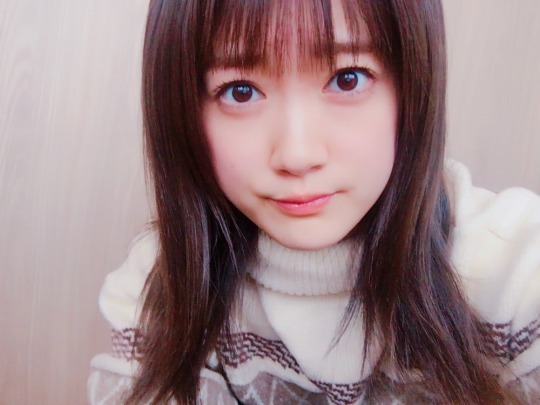 Everyone that already congratulated me in the 755 and blog comments, thank you. Starting with “Principal”, I performed in various stage plays such as “Teiichi no Kuni”, “Joshiraku”, “Hakaba Joshikousei” and “Doraemon”… and besides the difficulty of performing, I learned to enjoy it. When I received the story, I was very, very happy to do a play that I love very much, and I wanted to inform those who always support me quickly, I thought! By the time the stage performance starts, I will be 20 years old. I wonder what kind of person I will be… I cannot image yet, but from this time forward, I want to devote myself and give my all in order to stand on the stage with confidence in my heart.